Please join us for a fun LBT Women's Mixer at People Kitchen and Lounge. The venue is exclusively ours for the event. Date: Thursday, February 5, 2015, 6:00 - 8:30 pm. 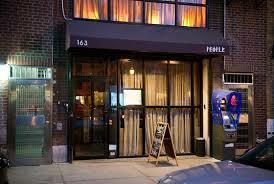 Where: People, 163 Allen Street, Lower East Side, NYC. Cost: Free entry with advance RSVP, cash bar, cash food, drink specials. No program this time; just a women's mixer. Our Tri-State All-Ivy & Friends Women's event series continues, with a casual LBT Women's mixer. Last time (October 2014) we had over 150 women attend at Bamboo 52. People Kitchen and Lounge is a spacious, two-story event space on the Lower East Side. We will have the bar menu (sliders, wings, salt and pepper shrimp, edamame and other special dishes just for us), full bar and drink specials. Organized by Yale GALA (Natasha) and FFR/Princeton BTGALA (Shawn Cowls), and co-hosted by HGSC (Harvard Gender and Sexuality Caucus) and the Manhattan Lesbian Party List (MLPL).